▷ Mercedes Clase B ( Garmin Map Pilot ) update. Speedcam for your maps. Download update. Free custom download. 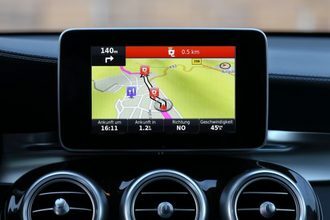 In order to update your GPS device: Mercedes Clase B ( Garmin Map Pilot ) with the latest update, follow next instructions. First of all, be sure you got the update file for your Mercedes Clase B ( Garmin Map Pilot ) device, downloaded from SpeedcamUpdates.com. In orden to transfer the speedcam database information to your Mercedes Clase B ( Garmin Map Pilot ) device you have to use POI loader application. Click next link to download it. POI Loader Software POILoader is available for Windows and Mac. Take the SD card from your GPS device Mercedes Clase B ( Garmin Map Pilot ) and insert it into your computer, in an SD card reader. Run POILoader software in your computer. In the first screen of POI Loader select store the data in your computer instead device. Now select the folder where you extracted the contents of the zip file downloaded. Choose a name for the file will be build, for example: POI. Select the destination folder too, for example in your Desktop. Select Express Mode, and wait for the application finish copying a new binary file for your Mercedes Clase B ( Garmin Map Pilot ) device. If you see some warnings at the end of the procedure with "POILoader", it means the audio files were not converted as POILoader requires. You can ignore this information if what you want is that your GPS device plays the default sounds to warn you. If,on the contrary, you want to use the sound included in the package you've downloaded from this site, then POILoader needs the audio application named sox. You have download SOX for MacOS, Windows or Linux from this link SOX Audio Converter. After you download it, you have to install it in the same folder where POILoader was installed before. You don't need to do anything else. If POILoader finds sox.exe in the same folder it will use it to add wav files to the speed cameras package. Once completed, copy the resultant file named POI which will be in your Desktop into the SD card, in an existant folder named POI. Usually it should be located in the folder Garmin. Last step. Remove the SD card from your computer with security, and insert it into your GPS device Mercedes Clase B ( Garmin Map Pilot ). New file will be used to show your speed cameras in the map. In latest releases of the device Mercedes Clase B ( Garmin Map Pilot ), you won't be able to see any speed camera icon on the map. Garmin has explained that this issue happens because there is a Mercedes specification which is to suppress all external icons which are not part of the map. However, when you drive near the speed camera, a red bar appears at top of the screen. When you pass the speed camera, you will see a small icon at the top left. If you see chinese characters in the screen is because there is a bug in the firmware v6.1 of your Mercedes Clase B ( Garmin Map Pilot ) gps device. You can use the next workaround. Delete the fonts for chinese and other asian languages located in your SD card in the folder named: Garmin/fonts. They're named 006-0952-001, 006-0952-002 and 006-0952-003, 006-D4436-01, 006-D4436-02, 006-D4436-03, 006-D4436-06. Do a backup of those files to restore them again in case a new firmware be released.